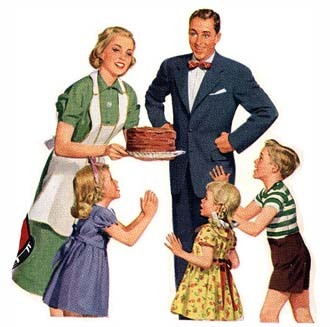 The best vitamins probably won't be found in Mrs. Jones chocolate cake. But you can enjoy delightful meals without the extra fat and calories! Meal planning is a task necessary if you are ever going to get too your "Desired Weight"
Or should I say the weight you are meant to be at. What's right for your body!! One of the Best Vitamins "Vitamin D3"
Vitamin D is a fat-soluble vitamin which means it can be stored. And it dissolves in lipids (fatty acids). It’s a steroid vitamin capable of promoting the absorption of calcium, magnesium, and phosphorus. Calcium and magnesium are two minerals the heart needs for good health. It's use for losing weight is it's ability to push the needed calcium into our cells. Without that absorption calcium can't work with you to drop those extra lbs. In this stay-in-doors world we live in, becoming deficient in vitamin D3 which is the natural version of the "D's" is quite common. Being that people don't spend enough time in the sun. "Vitamin D becomes the best vitamin for lack of sunshine!" And when you actually do get out into the sunlight? When you wear sunscreen which blocks the rays from entering your body via your skin cells!! As I have reported to you before, vitamin D3 comes from the sun. Having a battery of blood tests during a routine physical. My very thorough Internist had blood coming out of me for 15 minutes. That I am not Diabetic as previous doctors had claimed. Which, of course were: "Words directly from Heaven!" As the testing went on a deficiency was uncovered. Needless to say I was shocked because I walk nearly everyday in the sun. Of course, I thought I got plenty of sun rays...I guess not!! I chose D3 over the synthetic D2. If your body is lacking in these minerals this may lead to heart failure, arrhythmia, and even death. Vitamin D helps ward off breast cancer; type 2 diabetes; colon cancer, heart attacks, high blood pressure; osteoporosis; and ovarian cancer. Recent studies discovered that one of the best vitamins is "D."
D protect bones from osteoporosis. Without sufficient quantities of vitamin D3 bones can become thin, brittle and malformed. Calcium may be the chief bone-forming mineral, but it’s not functional without vitamin D, the transmitter of calcium absorption. Furthermore, autoimmune diseases, cancer, and hypertension can result from lack of this fat-soluble substance. If you spend enough time outside, no dietary supplement is necessary because sunlight promotes adequate vitamin D.
If you’re living in an area where the sun is hidden much of the time buy a sun lamp. My suggestion is to use it 3 or 4 times a week for 15-20 minutes. One of the best vitamins: Vitamin D is not found in many foods. A good way to get it is by taking fish oil. I take cod liver oil every day. Not great tasting but a wonderful source of this vitamin along with your omegas. 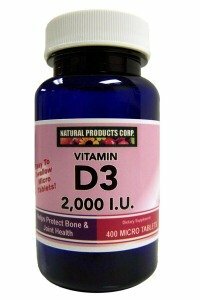 The synthetic form of vitamin D is D2, the natural form is D3. The natural is better by far! It’s produced via ultraviolet rays from sunlight. When the light touches our skin this triggers the synthesis of vitamin D.
Therefore, when you are going into the sun to absorb some D’s don’t lather sunscreen on your exposed skin. You are defeating the purpose of being in the sun to get one of the best vitamins!! In the U.S. almost all of the milk is fortified with vitamin D.
In the 1930s, to battle rickets we executed a milk fortification program in this country. At the time this disease was mainly affecting children, children tend to drink a lot of milk. After adding vitamin D to milk the disorder was eradicated. What indicates a need for vitamin D in our diets? Bone pain and soft bones, easily broken bones, bone deformities and slow growth in children constitutes a needed increase. Home bound people and individuals living in northern latitude are at risk of a vitamin D deficiency also. There is a flip side to this: getting too much vitamin D.
Toxicity symptoms are: loss of appetite, hypertension, nausea, vomiting, and generally feeling poorly. Adults need only about 50 micrograms. This is Micrograms not Milligrams remember there’s massive difference. If you are considering taking a vitamin D supplements consult your doctor first.